Sports season 2019 is about to start. However, many fighters look back on the past events of 2018 with great pleasure! The head coach of the Lutsk SC “Garda” is proud of the achievements of his sportsmen at the “Ukrainian Open Jiu-Jitsu Championship 2018”. 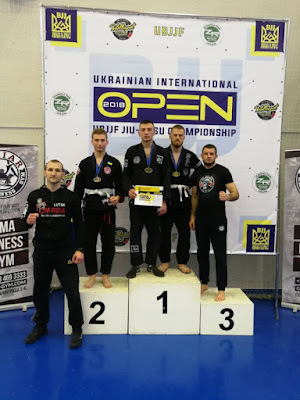 At the annual major Ukrainian BJJ championship fighters from Lutsk have won 9 medals. The adult sportsmen of the SC “Garda” represented their team by an atypically small number of participants - only 5 athletes visited the championship. However, sportsmen performed successfully and won 3 gold and 1 silver medals. According to the results of the championship, the junior team won 4 silver and 1 bronze medals. The coach of the club Mikhail Savchuk shared that this championship was traditional and debut at the same time for his team: their little fighters came to the championship for the first time! Nevertheless, the results of the championship have impressed everyone. So in future, juniors of the SC “Garda” will compete on such championships again and again.